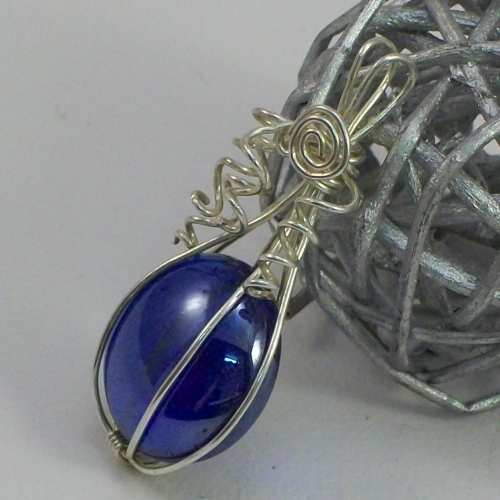 Pendant using a vivid blue half marble caged in wire with spirals and swirl detailing giving a bold yet delicate looking piece. 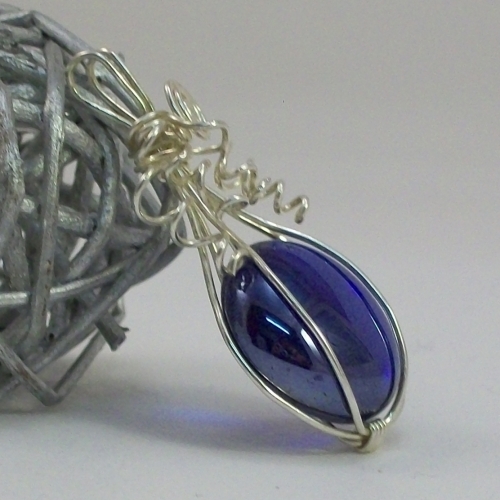 Hand wrapped using silver plated wire. 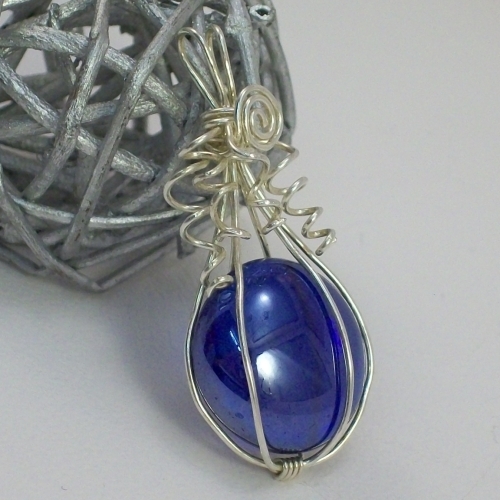 Pendant is 4.5cms x 2cms wide.